Home is where the heart is. And no matter if it is far kilometers from the place where you were born ... Home is Where the Heart, where your eyes shine where we feel we need to be. 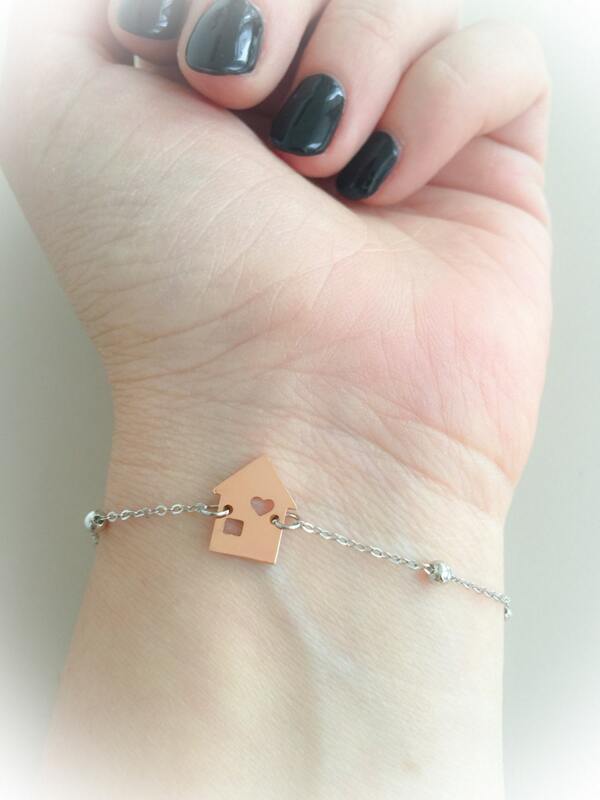 This is the thinking that inspired the collection "Sweet Home" which is also part of this bracelet. It 'made using chain with beads and small house pendant in silver and pink, choice. It is also available with smooth chain. The pendant is a production Details of Fashion. 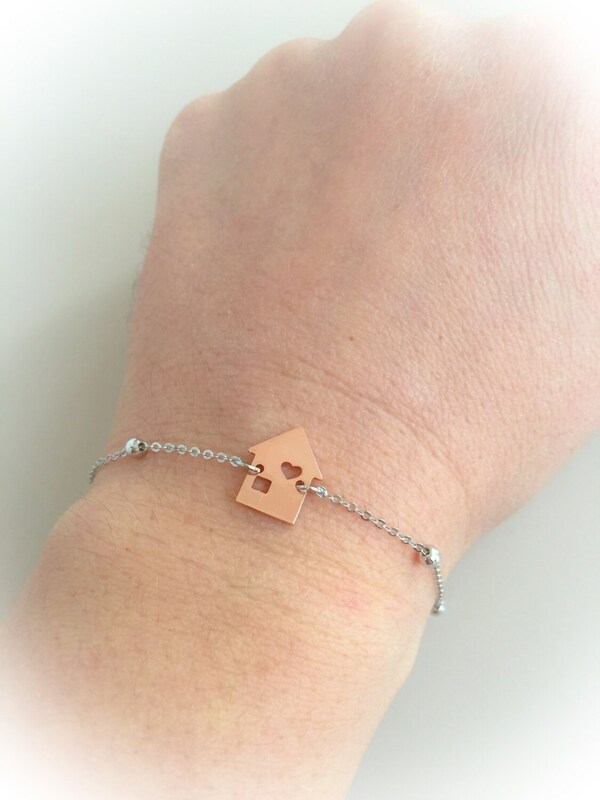 The cuff size is customizable according to the needs of those who wear the wrist.